At 5'1" and with an old-fashioned in-and-out hourglass figure, buying into high-fashion trends can be a nightmare, even with the in-roads that come with being the editorial director of this fine website. Everything at Zara makes me want to cry. Skinny jeans? Pah! Sometimes I only even have to think about the idea of wearing something rad and I'll feel dumpy; there are so many looks that are cruel and unforgiving, especially once the weather turns and winter's layers start to pile on. So how to navigate the autumn/winter 2016 trends when you've got curves? Well, firstly, don't feel like you're destined to forever ignore the catwalk's top-line looks altogether: It's simply a case of being strategic about how you wear them and which exact items you should choose, and pinpointing the subtle styling tweaks that make all the difference. Fashion doesn't hate me, or you, or any of us, it's just daring us to step up to the bar—which is where I swoop in to (hopefully) help. 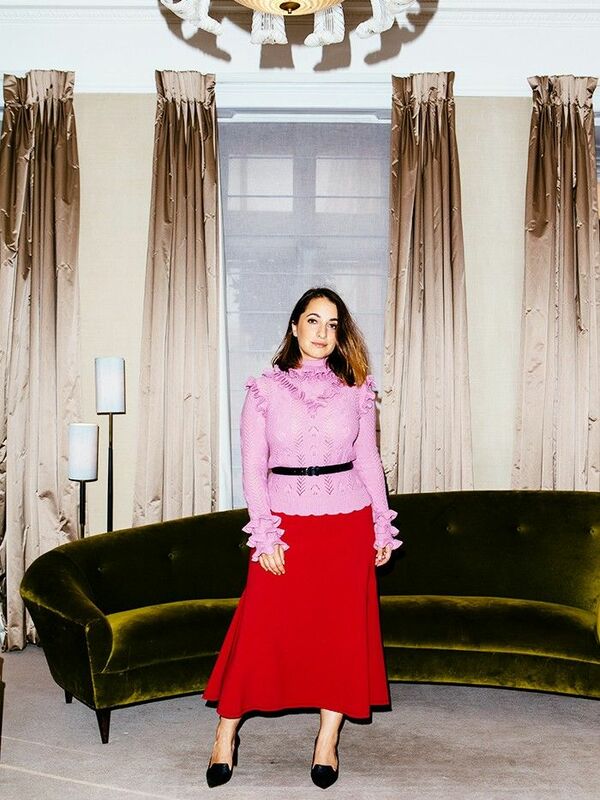 On Hannah Almassi: Gucci Ruffle-Trimmed Sweater (£725); Ellery Beedee Fluted Crepe Skirt (£630); Isabel Marant Étoile Zap Skinny Belt (£65); Nicholas Kirkwood Beya Pumps (£425). Ruffles are a deceptive thing, you know. You may think jumbo frills could mask whatever you want them to, but sometimes they just add unwanted inches. As much as I'd love to go all out with a swirling, jumbo-frilled concoction of a dress, I think it's wise to opt for micro-ruffles in strategic places. This jumper, for example, features slim frills in clever spots: No one is conscious about their wrists, right? The fitted nature of the knit ensures my silhouette is still in check, so follow that lead and pair with a super-skimming second piece. You'll have this trend licked in no time. On Hannah Almassi: Pleats Please Issey Miyake Pleated Top (£150); Sportmax Libero Gown (£418); Isabel Marant Étoile Evie Cap (£95); Gianvito Rossi Gina Suede Sandals (£495). When the memo reached me last year that slip dresses were going to be all that, I had prayed they would die out quickly and disappear back into the '90s. That didn't happen—it's the frock that just keeps on giving, and, after a little research, I realised getting on board is doable. So my initial fears (the clingy DNA of bias-cut silk, the inevitable bra situation, the general barely there–ness of it all) can be solved in two stages: Firstly, layer a thin top underneath (it's admittedly harder for us norms to do a Gilda Ambrosio–style sweatshirt-under-slip move) and then look for a style in a dark colour that is either belted, or ready to be belted (so it can't be too tight already). This extra dash of waist-nipping does the trick. On Hannah Almassi: Racil Orion Jacket (£680) and Aries Trousers (£334); Marco De Vicenzo Feather Embellished Sandals (£475). Outside of faux fur, velvet is man's bulkiest texture to deal with, and, therefore, it can be a tiresome trend to try and look svelte in. Loose-fit velvet dresses, although covetable on the runway, are in reality like wearing a tent rendered from home-furnishing fabrics. As for velvet trousers, well, if you've got thighs like mine, you'll know this is a minefield on so many levels. 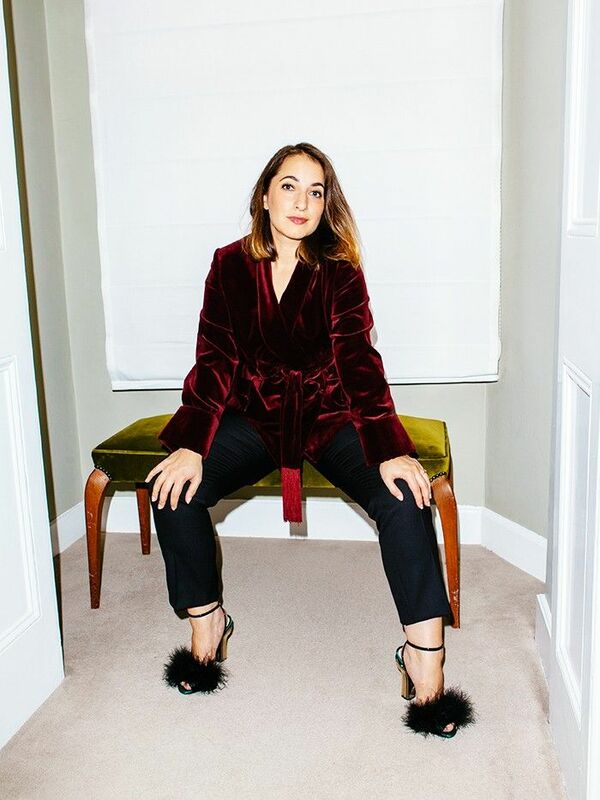 So, head-to-toe velvet is generally a no, unless you manage to find a lightweight dress that has been pattern-cut to perfection and fits you like a glove. The essentials here are to locate a well-tailored jacket and wear it with something classic and slim, like a well-cut pair of black trousers. If all else fails, dive into the season's velvet shoe trend. 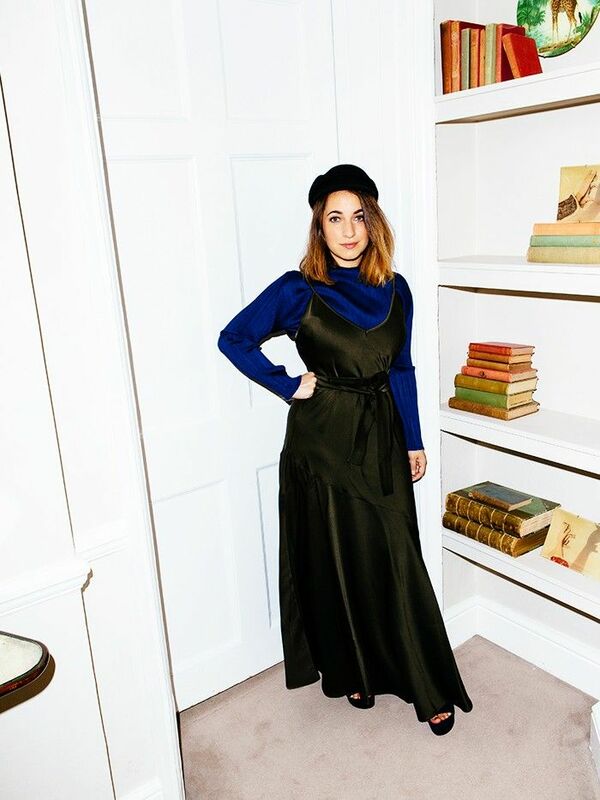 On Hannah Almassi: MSGM Roll Neck Sweater (£230); A.W.A.K.E Paperbag-Waist Trousers (£686); Oscar de la Renta Crystal-Embellished Earrings (£345); Gianvito Rossi Gina Suede Sandals (£495). Being petite and having an ample bosom, I found that trying to get the volume trend to work up top was near impossible. Rotund was never my aim here, so I realised the only way to make jumbo proportions work was with a waist-defining silhouette and high, high heels. This is the kind of trend that needs all the help you can offer it—so call upon the season's mega-platforms and skinny knitwear to balance out a wide-leg pair of trousers like these. What trends you do find hardest to wear? Shout out in the comments box below and we'll endeavour to answer your sartorial questions.